You must present a valid ticket or festival pass when entering an event. This could be a printed e-ticket or an e-ticket on a mobile device. In the event that no ticket can be presented, photo ID will be required to prove that a booking has been made in your name. When specific seats are allocated to you, the festival management reserves the right to change these seats to similar seats of equal value. Please note that at many festival events some seats may have a restricted view. This information will be available at the time of booking. Some events may be filmed or recorded by Dunster Festival for promotional purposes; buying a ticket affirms your consent. Unauthorised use of camera, video camera or any other sort of recording equipment is forbidden at any event. Smoking is prohibited in all of our festival venues: this includes the use of E-Cigarettes and personal vaporisers. Doors will normally open approximately 30 minutes before the advertised start time of an event. Dunster Festival reserves the right to delay the time the doors open without prior notice and, where possible, will provide an explanation. Please arrive in plenty of time for your event. It is not always possible to admit latecomers once the event has started. If a suitable break or interval occurs it may be possible to allow access, however the festival management reserves the right to refuse admission in their absolute discretion. Dunster Festival reserve the right to refuse admission to an Event and tickets are issued subject to the rules and regulations of the venue. We will therefore not offer refunds to any ticket-holders who may be refused entry. Please note that some of our venues have limited access for wheelchair users and those with restricted mobility. If you have any special requirements, please inform us when ordering your tickets or as soon as possible afterwards. 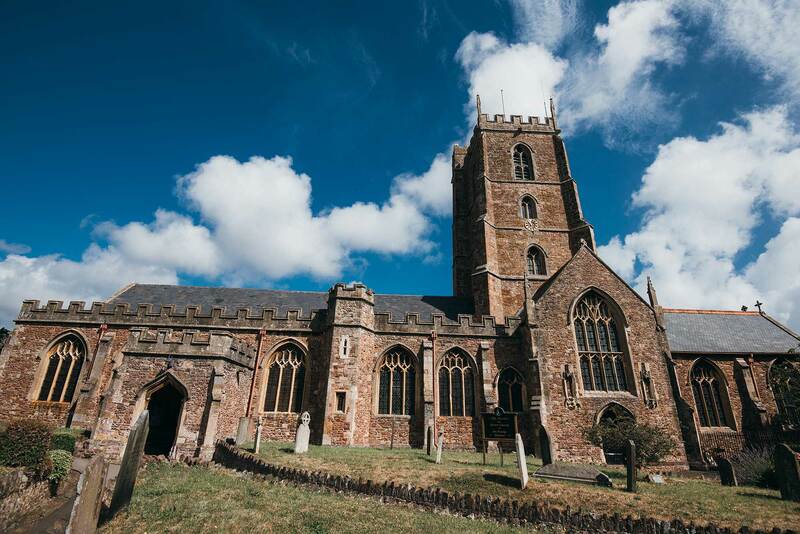 Dunster Festival is not able to take responsibility for providing or arranging parking; if you have any concerns about attending an event, please contact us. All parking is at your own risk. Children under 16 must be accompanied by a responsible adult, approved by the parent/guardian. Each adult can accompany a maximum of 4 children to an event. Please adhere to the age range specified for children’s and family events. Please note that if your child is disruptive during an event you may be required to remove them: this is entirely at the discretion of Dunster Festival. Dunster Festival cannot take responsibility for unsupervised children. Although Dunster Festival will use reasonable endeavours to indicate any age or other restrictions that apply to events, it is the customer’s responsibility to ensure that they are eligible for entry to the event that they are purchasing tickets for. For certain events there may be a restriction on the maximum number of tickets that may be purchased by a single customer. We will use our best endeavours to publish this information on the website and at the point of ticket selection for the event. In such cases, we reserve the right to only offer for sale the maximum number of tickets available and to cancel any orders made that exceed the maximum authorised tickets per customer without notice. Applications for tickets will be processed by the Dunster Festival in the order in which they are received. Acceptance of the order will only be completed when the tickets have been assigned to you and payment made and accepted. If before completion of the order, we discover that the price at which the tickets have been listed was incorrect, we reserve the right to withhold the tickets whilst we contact you with the correct price. If you do not indicate acceptance of the correct price, the tickets shall be invalid and, if a payment has been made, we shall repay you by the same method that you adopted as soon as possible. We will not be responsible for any losses that you may suffer thereby. In the event of unforeseen circumstances, Dunster Festival reserves the right to change artists, programmes and venues without prior notice. If events are cancelled or postponed, we will do our best to inform all purchasers using the contact details provided when the order was made. However it is the responsibility of the purchaser to check whether the event is going ahead at the scheduled date, time and venue. We cannot guarantee that we will be able to make contact with you. If the event is cancelled, postponed or material changes are made to the Event, namely a change of the venue or the headline act, the original tickets that you have purchased will remain valid for the revised event (except for in the case of cancellation) unless otherwise advised. In the event of cancellation, the customer will be entitled to a full refund. Please note that any and all artists appearing at the Festival are subject to availability. If Dunster Festival fails to fulfil an order as a result of any negligence or similar act of omission then the customer will be entitled to a full refund. For any refund of face value you will be required to contact Dunster Festival electronically: contact details will be included in your booking confirmation. Refunds will be made using the same method of payment that was used to purchase the tickets. Please contact us if you have lost any items at a Dunster Festival event. Any item found will be kept for a period of one month following the date of the event, after which time it will be disposed of.